If you are looking to purchase a spa for your home, the design possibilities are endless. We have a variety of spa options in different shapes, sizes and colors to fit any backyard! 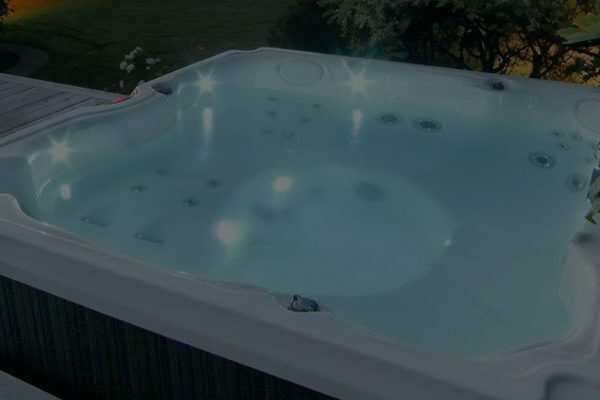 While most spas go outside on a concrete slab, we can put spas into or on decks, inside homes, under gazebos, or almost anywhere else you could imagine! We just need to ensure that you have a good foundation to properly hold a spa, a reliable electrical connection, and a garden hose for long-term, easy access to water. We can also incorporate some other design features, like landscaping, or pair your new spa with a new pool as well! We want to help you create your outdoor oasis and make your backyard dreams a reality! Visit any of our store locations in Camp Hill, Carlisle, Harrisburg, Lancaster or Lebanon for more ideas on how to incorporate your dream spa into your backyard.